What a great gift for Mother’s Day, and you don’t need a green thumb to grow these sunflower seedlings that have been nurtured from seed by Richmond Gogos. There will be 6 varieties of sunflowers in dwarf, medium and tall heights suitable for pots on a patio, creating a colourful hedge along a fence, or for a lovely bouquet. Some attract birds, butterflies and bees. Some have a single head and others have several flowers on branches from a single stem. Watch these beautiful yellow and golden blooms grow and enjoy. The cost for each seedling is $3.00. The Richmond Garden Club will also host their Spring Plant Sale in the same parking lot. No admission. Contact 604-272-3732, batesema@shaw.ca or richmondgogos2017@gmail.com. 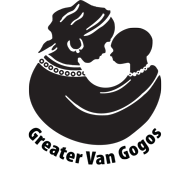 Sales by Richmond Gogos will go to the Grandmother’s Campaign, Stephen Lewis Foundation, assisting African grandmothers as they care for millions of children orphaned by AIDS, sometimes with as many as ten to fifteen children in one household.